Are your students having trouble with the more/less concept? This mat is a great visual, hands on tool. Print, laminate, and they are ready to use! Write a number in the middle circle. 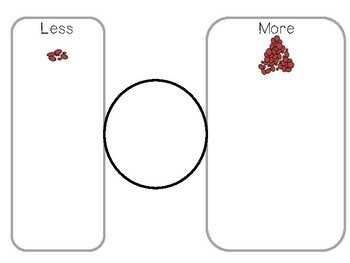 Have students demonstrate 'more' and 'less' using manipulatives.